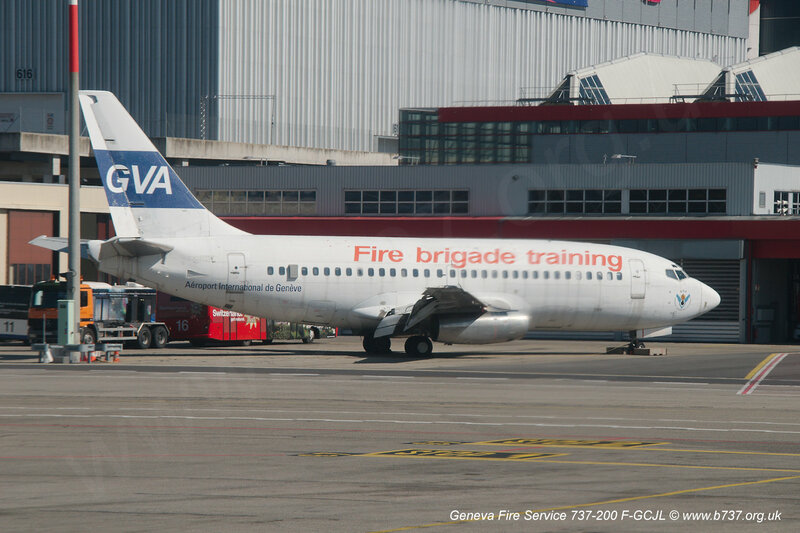 The Boeing 737-200 (19067 / 71) of the Geneva Airport Fire Service, formerly F-GCJL. This wonderfully preserved aircraft is one of the oldest remaining 737s in Europe, if not the world. It was only the 71st 737 to be built and was delivered in September 1968 to United Airlines as N9029U. It was sold to Aloha in 1976 and in 1980 came to Europe as F-GCJL when it was bought by Euralair. It was susbsequently operated by Air Charter, Air Liberte and Air Mediterranee. Its final flight was on 12 October 2006 from Châteauroux where it had been in long term storage. The airframe had over 90,000 flying hours and had completed over 80,000 cycles. The aircraft is parked with the flaps set at 40 as this is the evacuation configuration and therefore the config that the fire services might find it when they attend. 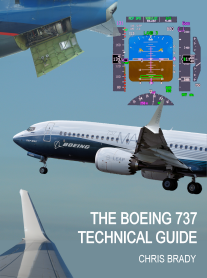 One of the easiest ways to date a 737-200 externally is to count the number of rudder "hinges". If you look carefully in this photo you will see 3 slots in the fin, these are for the rudder mass balances forward of the hinge line. It also has a larger horn balance at the top. The earliest 737s, like this one, had three mass balances until 1970 when the lower balance was removed to save 40lbs in weight. Later 737-200s and all subsequent series only had the upper balance. The reduction in number is probably because the rudders have become lighter as their construction changed from fibreglass to carbon fibre materials. 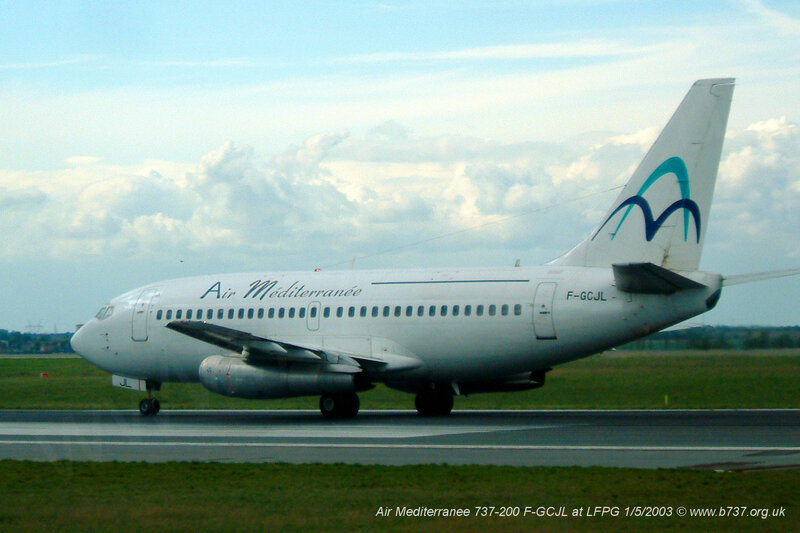 The second photo below shows it in service with Air Mediterranee in May 2003 taking off from Paris CDG. Visible in this photo is the wire HF antenna from the top of the fuselage to the fin.